Neil is responsible in many ways for inspiring me to want to write about music in the first place, after having approached me back in 2015 to run a group on Facebook for a band that I'm sure many of you are familiar with, but at the time were just starting out... October Drift. 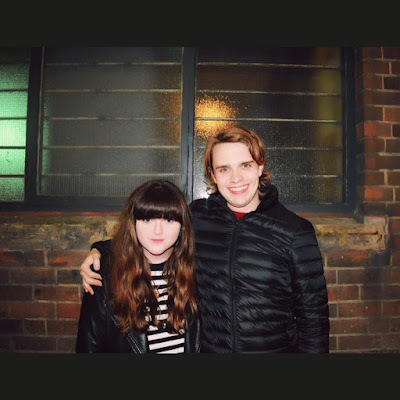 He was thus one of the first people I met in the industry; that was almost 4 years ago now, when I was only really just starting to properly appreciate music and attend gigs. He has provided me with incalculable levels of support, advice and fortification over the years, for which I'll always be grateful to him. How and when did you first get involved in working in the music industry? It was always going to happen but the way it happened was mad. I kinda fell into into naturally I guess! I started off more as a photographer and videographer, doing live shots, creating music videos for bands, before a band asked if I’d help them out in a few ways and manage them. They were a classic rock band so quite far out of my comfort zone initially but I soon found my feet and we had a lot of fun! I then went onto putting shows on, and then onto festival stages, tours etc and it’s gone from there really. I’ve done everything from managing and touring with bands, worked booking bands for venues, and promoting shows which gives me a good insight into what everyone needs from both a band and promoters perspective which really helps. What would you say has been the proudest moment of your career to date? Well to date I’ve worked with too many cool bands to mention from Reverend and the Makers, Catfish and the Bottlemen, The Struts, etc but from a personal angle it’s gotta be putting Heaven 17 into Plug main room in Sheffield which was an absolute blast. Back in the day (showing my age here by the way) Martyn Ware of Heaven 17 was the reason I fell in love with music, as he’d founded Sheffield band The Human League and accidentally saw them on Granada TV when I was like 6 or 7 years old. There was this terrifying shot of a golden buddha accompanied by their futuristic electronic squidgy sounds and Martyn was right there on my TV playing 'em. It literally changed my life as there and then I decided to just get through school then do what wanted but I knew it was going to be music related. I bought synthesisers as soon as I could, and in the meantime Martyn Ware went on to form Heaven 17, and then went on to produce Terence Trent D’Darby’s ‘introducing the hardline’ album which is one of my all time favourite albums. I didn’t realise he’d produced that until years later. Anyway to cut a long story short I decided to ask Martyn if Heaven 17 would play Plug for me and after consulting with Glenn Gregory, he came back to me and said yeah let’s do it! Sheffield packed the room out and we had a brilliant time, made all the more special by the band and Martyn specifically being the reason I’m in music in the first place. You must get hundreds of bands applying to play for you... When organising shows, how do you go about choosing which bands to put on and where when? Firstly I don’t really work like promoters out there who book regularly and in huge volume. I don’t really like doing that as it takes a lot of the love out of it. I try and only put bands on I believe in and love (The Lapelles was a great example of that last year where nobody had heard of them in Sheffield but I loved them, booked them, and we had a packed out house thanks to the hard work of Adelphi and Sheafs who helped put a great crowd in front of them). There’s nothing more rewarding than putting crowd in front of bands I believe in long before others catch onto them. It’s the opposite of what many promoters do as they look at the cash/profit side of things first, but I just can’t help myself when it comes to finding new bands. That’s the aspect of music I love the most. (ps RIP Gary Watson who passed away shortly after our show.) Every day I wake up I get faced with applications from bands who want to work with me and I’ll have a listen to them all, and I always then check out their live stuff on YouTube and see if they’re everything they claim to be in their bio. If so then I’m interested and from there it’s trying to find a venue they’d best suit. I’m currently putting bands into Bristol, Manchester, Leeds, London, Glasgow and of course Sheffield where I’m based. You always seem to be extremely busy, and have your fingers in so many pies! What does a typical day in the life of Neil Hargreaves consist of? Most of my day currently is spent working on October Drift and now Beware Of Echoes has come along I’m also getting stuck into that project which is another exciting one. Just when I’m starting to wind down about 8pm and think about chilling out, that’s when most bands and musicians get in touch, so that means I carry on till about 1am / 2am before going to bed and listening to podcasts. What can you tell us about your plans for Crystal Stage of Tramlines 2017 at the moment? Nothing really. It’s all very much under wraps. That’s not because I’m being all cool and mysterious, but that we’ve got a couple of things planned that should shock everyone (in a good way). I’ve pulled in a couple of favours to land one of the biggest bands we’ve ever booked. One thing that we’ll do more of this year is to bring a couple of bigger, more established bands in, we’ll be changing the sound system out as last year we really weren’t happy with the sound so we’re going bigger on that one, and we’re going to be upping the stakes on the production side of it (the lighting will be bigger than ever - we want the maddest, biggest lighting setup of the whole festival!) Bands wise I’ve booked a few more bands already and am working on the rest as we speak. I’m looking for bands that put on a show visually as well as sound great, as we like to have an energetic lineup that keep the crowds buzzing all day and night. Finally... which bands have seriously impressed you this year? This year I’ve managed to tour the country managing October Drift so I’ve got to see some class bands whilst out and about. The obvious one is The Slow Readers Club who I’ve seen grow at a rapid rate. I really hope they continue pushing on next year as their music deserves to be heard. They’re a class outfit but I’m guessing everyone reading this already know that right? There’s a band in Plymouth who are like 17 years old who are like this mad mix between The Smiths and Pulp, and the lead singer is going to be a megastar (no doubt about it), but I’m not going to name them as they are on my hitlist of bands to nick. I also saw a few bands whilst at various industry events this year and around the festivals, and I'd recommend checking out Fatherson, Idles, Desperate Journalist, Avalanche Party, and apparently there’s this Liverpool based band called Cabezudos who someone I know has been battering me about ha ha!! I've often wondered to myself how on Earth Aaron manages to eat, sleep and breathe as he is seemingly always hard at work... not only as promoter and director at AMP Live, but working tirelessly as a tour manager and being part of This Feeling. It's only very recently that I've gotten to know Aaron, but I've always had a huge amount of respect for him and the incredible work that he does. Through his shows, I've been introduced to the likes of I Kept The Wolves Away, Kashmere and most recently The Wholls... who completely blew me away, and are undoubtedly one of the best live bands I have ever seen. This year alone, Aaron has organised over 40 gigs and I think it's safe to say that he has a real eye for talent. How and when did you first start working in the music industry? Music is something that I've always been around since been very young, so it was a bit of a progression into the industry from being a fan and dabbling in playing instruments at a younger age. I started helping other bands out such as The Violet May, Tivoli and Elephant Keys at a number of gigs from being in my late teens as well as doing bits at Frog & Parrot for Nick Simmonite and then one of the first proper projects I got to work on was RE:Mixed In Sheffield with Liam O'Shea. We got Sheffield DJ's to remix Sheffield bands, created an album and then made a crazy night of it bringing both aspects together in places such as Yellow Arch Studios. From there I went on to promote a couple of shows at The Stockroom and then Frog & Parrot where I held a two year residency, which really helped kick start AMP Live properly. What's your earliest memory of music? Probably one of my earliest memories of music is my parents getting me '(What's The Story) Morning Glory?' by Oasis on cassette as well as listening to the likes of Talking Heads, The Beautiful South and Red Hot Chilli Peppers when in the car as a youngster. You always seem to be busy...whether that's putting on your own shows, or on the road with bands; what does a usual day in your life consist of? Emails, emails, phone calls, more emails and phone calls. I think that covers it. To be honest every day is different, yeah it does involve a million emails and phone calls per day but it's exciting as you never know if there's gonna be that one email from a band or manager or agent where you can listen to the first verse and you think 'Yep, get them booked!'. Then there's going to gigs in the evening, it's always different and that's whats great about being in this line of work, be that a normal office type of day or being on the road or an AMP Live gig day itself. AMP Festival was a huge success this year and I know it's happening again in 2017... what can you tell us about that at the moment? Finally... which bands have seriously blown you away in 2016? Plus..... Yonaka, Delamere, Clay, The Ruby Blues, Hello Operator, Ekkah, The Strawberries, Bang Bang Romeo, Fronteers and Sheafs. I could probably name another 10 or more but those are the ones off the top of my head. It's been a pleasure to work with every single band and person that I have done this year, so here's to 2017 I guess! I've met some truly great friends through music, especially since I started this blog back in April; people who share my passion for new and live music, and all of whom are fascinating in their own right and a real joy to know. I've had the pleasure of getting to know a number of up and coming bands and artists from all across the country, and hopefully helped in some way to celebrate and showcase their talents. However, it's not just the bands themselves that I feel privilidged to have been given the chance to spend time and work with... but also the people behind the bands, whom without, the wonderful gigs we all spend so much of our spare time attending would not even be possible; the incredible people behind the scenes who work so hard, often without the recognition they deserve, and have the most impressive knowledge of music imaginable and a real dedication to what they do. 2016 has been a huge year for This Feeling; having celebrated their tenth birthday back in October, Mikey Jonns and his incredible team are truly flying the flag for new music at the moment and providing up and coming bands with the chance to play shows across the length of the country... opportunities that, in this day and age with the music industry how it is and independant music venues struggling, may not have been available to them otherwise. This Summer, by hosting stages at almost all of our major UK festivals, This Feeling have introduced up and coming bands to whole new audiences, and in doing so are helping to finally make it possible for guitar music to make a much needed return to the forefront of the music industry. Through their shows, I have been able to discover some absolutely brilliant new bands this year... Paves, Cabbage and White Room to name but a few, and since I started this blog, Mikey has been one of my most unwavering support systems; despite the fact that we have yet to meet in person, he has always provided me with immense praise and encouragement, and has truly made me feel very much a part of the This Feeling family. This is why I feel it only right to end the year on an interview with the man himself... who is such an asset to the industry, as well as a friend and inspiration to so many. How did 'This Feeling' first come to be, and what inspired you to set it all up? Ten years ago, decided to start a night for likeminded mates (Kasabian came and DJ'd the very first TF) and it's kind of grown from there. 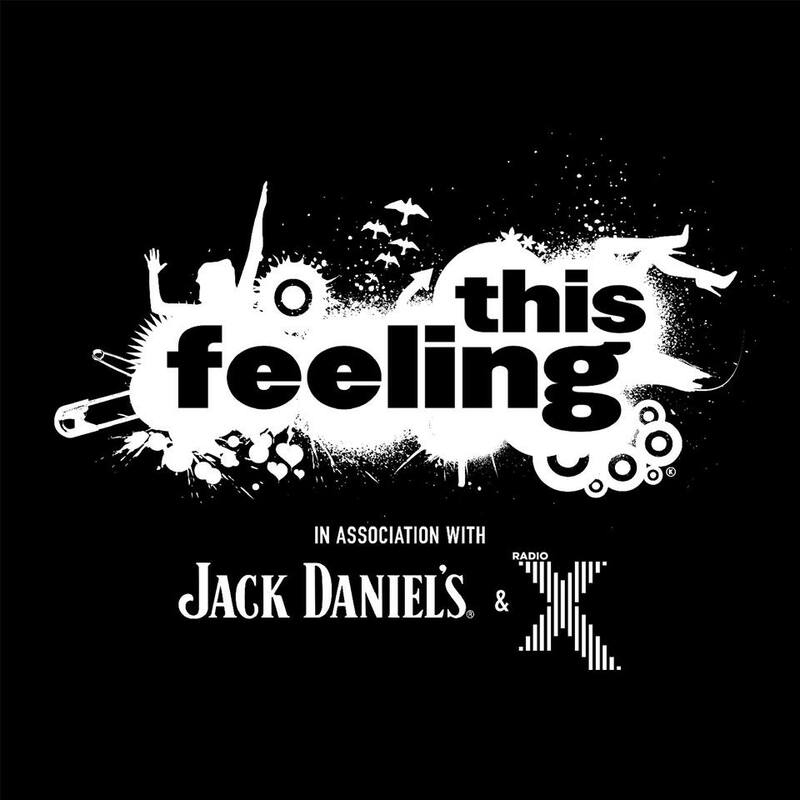 You can always rely on a 'This Feeling' show to have an incredible line up, and I've discovered so many amazing bands through your shows this year... is there a process that you go through in terms of finding new bands to play for you, and choosing who plays with who? After ten years, it's now instinctive. You know what bands will get on, what bands compliment each other and the night. I know within 30 seconds of listening and looking at a band whether I like them. Has music always been a part of your life, even from an early age? Yep, The Beatles, Stones, The Who and Springsteen were the soundtrack for car long journeys up to Liverpool to see my Grandparents as a kid. You've conquered the majority of UK festivals this year and given so many up and coming acts the opportunity to play them- which perhaps they might not have had before. You've put on successful shows far and wide across the country, and 2016 saw This Feeling celebrate it's tenth birthday. In that decade, what would you say has been your proudest achievement? 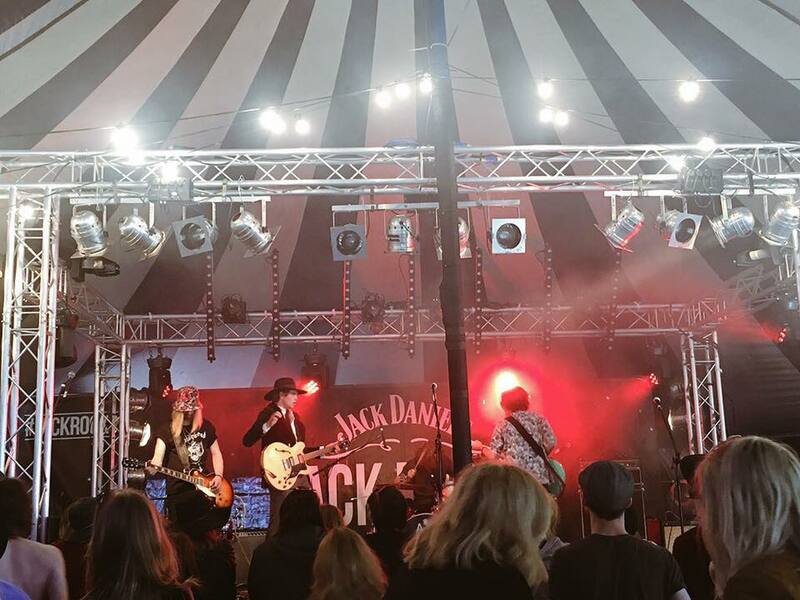 Seeing bands, punters and everyone involved having the time of their lives at the festival stages we did with Jack Rocks. What advice would you give to up and coming bands hoping to break into the music industry? Richard Ashcroft's new album and DMA's album have been blasted out today. Probably my two favourite albums of the year. Finally... do you have any exciting plans afoot for 2017 that you can tell us about? This Feeling have just announced nineteen incredible bands whom they've picked to be 'Big in 2017'; three very special events will take place to celebrate (featuring the likes of The Shimmer Band, April and more) in London (14th January), Manchester (21st January) and Glasgow (11th February). Tickets for all shows can be found HERE. It's been a busy few months for Caleb Smelt, Jacob Beaumont, Richard May and Harris Slater, aka The Wired; 2016 has seen the release of two single releases in the form of "Lost It As You Were Leaving" and "Long Lost Days", as well as a string of high profile live appearances, one of which was a much coveted slot at Leeds Festival back in August... so what better way to end such a successful run than with a headline show at one of Sheffields' most loved venues, The Leadmill? For such a young band, they have a real talent for zealous, well executed songcraft and their live shows are just as articulated and impressive. They have their own unique and recognisable styling of indie-rock, and from the moment they took to the stage, they gave an exceedingly powerful and gripping performance. Frontman Caleb's gritty vocals most definitely command attention, and are even somewhat wistful in places. Instrumentally, I was particularly drawn to the mettlesome drum beats from Harris, which were unwaveringly resolute throughout. This band have such a galvanizing stage presence, as well as good dynamics and chemistry and I am left with no doubt in my mind that they have the potential to be the next breakthrough guitar band. Where did you guys first meet, and how did the band first come about? Richard: We all met at sixth form college. Our best mate started a project, which basically got us forming a band just to record something for his course and it just took off from there really. The original guy then left and we got a new drummer. What did you grow up listening to and did any of that inspire you to want to start making music yourselves? Jacob: I'd be lying I think if I didn't say all of the indie type stuff... when we grew up and when we first started listening to music in about 2007 or whatever, that's when there were loads and loads of indie bands just coming out, and I think that's just what inspired us. Or me, anyway! Arctic Monkeys are definitely one of them. It might sound boring saying them, Oasis and all of that... but it's true. Richard: More recently I've been into a band called DMA's, as well as Richard Ashcroft. The Leadmill is a pretty iconic venue, and I'm sure a really great one to play... but is there anywhere that you'd like the opportunity to gig, but haven't had the chance to thus far? That could be a particular venue, or maybe just a certain city you've always wanted to visit. Richard: I want to play Boardwalk, now that's reopening.We haven't been to Liverpool yet, either. Caleb: I want to play Roundhouse in London, that would be pretty special. We want to play Glastonbury. Jacob: ... And as many festivals as we can! I can tell that you're a band who are in their element when performing live- would you say that your live performances capture a completely different side to the band than on recordings? Caleb: I think we're a lot better live. Jacob: And with a lot of bands it's the other way around, and recordings sound better... but I genuinely think we're a lot better live. Caleb: There's a lot more energy and soul when the songs are played live. We don't just stand there, play, and walk off... it's all got feeling behind it. I know you've done a few festivals over the course of the Summer; I don't think you can beat that relaxed, friendly festival atmosphere... do you find that, as a band, there's less pressure in playing festival sets than with headline shows? Caleb: When we played Leeds Festival, it was just like a party! You obviously know people are going to be at Leeds Festival, but if it's your own gig you worry whether or not people will care enough to come! Jacob: At Leeds it was literally one band off, another one on... there's none of that waiting around with nothing happening that you get at headline gigs, which is always the worst bit. If it's all happening, like with festivals, you can just watch whoever you want and everyone is up for a laugh. Music aside, what other interests do you have? Jacob: Football! And cracking bones... me and Caleb would love to go to a chiropractor and have our backs cracked and stuff, I just think it'd be reyt good! Caleb: Jacob likes Strictly Come Dancing. Jacob: It's the final tomorrow. They're all going out, but I'm not. I have been invited out, but I'm not going... I'm watching Strictly, because it's reyt good. Caleb: Our drummer... he has two things in his room, a beige golf cab and a big bottle of organic juice. Jacob: He's weird! We've got this brand new practise room, which the drummer sorted out. We got there, and he had incense all over the tables... he had some weird bottle of alcohol but it had a tree inside it. He asked for some rent, so I gave him some money and then the next time we went in there's this massive tapestry on the wall. He's just reyt weird, but we love him! Are all of your songs written from personal experiences that you've had- and is the writing process a collaborative or solitary effort? Caleb: They are all personal, yeah. Lyrically it's all me, but then Jacob does some guitar stuff and it comes together. But yeah, they've all got feeling behind them, which does come across in our live set. For music to have soul, it doesn't have to be soul music... to be soulful, it just has to come from the heart! We were in the car earlier and they were playing this song... I don't even know what they were singing about, who buys into that crap? People want to hear something that they can relate to, and that makes them think 'I like them, because they're singing something that has happened to me.' That's what people want to listen to. Is there anything that you've done so far, whether that's a particular track or maybe a certain show that you've played, that you're especially proud of? Caleb: Playing Leeds Fest. Tonight... if it goes well! Last time we headlined Leadmill, it was in the small room, and this is our first proper headline show since then. The small room holds 250, and I think about 800 tickets have been sold for tonight, so it's a big jump for us in a year and a half. ... And in turn, what would you say has been the biggest learning curve to date since the band started out? Jacob: Basically we went to York to have a bit of a practise session. We turned up to this pub and this guy with army trousers on was sat there like 'it's alright, this!' It was so funny. Caleb: You need those gigs though, and then when you do nights like tonight... it makes them more special. If you walk out to hundreds of people, after having played to just one person a while back, it makes you feel good. It is what it is. Do you have any exciting plans for 2017 that you can talk about at the moment? Caleb: We'll be doing a tour, and hopefully loads of festivals. Basically just gigging... this year has been a bit relaxed. We've got a tour booked for February till April. We're doing two massive, back to back Sheffield shows... no one else has done anything like it, so it'll be big if we pull it off. Jacob: What are you on about here? Caleb: Have I not told you about this? Richard: You'll have to wait and see! Back in September, a mysterious spiral image began appearing both online and on posters and flyers across Leeds and beyond; this, and links to an equally intriguing but frustratingly anonymous website, provided curious visitors with the promise that on the first of October we'd be able to find out a little more about this illusive new band. On the third of October, a mellifluous debut release entitled 'We Are The Freaks' hit the airwaves... and so The Opera Comic was born. Luke and Mitch, being brothers you obviously don't have to explain yourselves on this one... but where did the rest of you all meet? Mitch: Me, Luke and Jack were at the same school so obviously we all knew eachother there. Then I did A-level music with Nathan. Then what about Mitch? It was an extremely interesting and innovative thing that you did with the 'What Is This Band?' campaign... where did the idea for that come from, and do you think retaining that anonymity throughout helped you at all? Luke: The thing that worked best was that nobody knew who we were, and I think people were intrigued by that. I think it was a really exciting thing to do... and it was that crossover between the physical side of things and the digital side of things. With the spiral image as a poster, we took photos of it and then wherever it was popping up, was where we'd be doing gigs in the future... so it was kind of about linking it all together like that, really. Nathan: It was a bit of an intimacy thing as well... it gets people more involved with what you're doing because of the way you had to go and search for what it actually was. People actually went and searched for it, to our surprise! People went looking, and they found everything we had online... the teaser videos and everything, so it was a fun little way of doing it. Jack: It was trying to create that hype without anything actually being there and make people want something that wasn't there. Luke: It's a weird concept that we'd had in our heads. We knew how to do it and what we wanted to get across... it was just whether or not people would get it, and I think they did. A lot of people, when we were telling them about it, laughed at it or thought it'd be a bit weird but it's just because it's never been done in that way before. A band has never launched in that way before. We gave people a code word and a website to go and type it into, and they did it! It's a bold move to do it and try to create a hype without a name or a song. Nathan: It was a bit intimidating and we were concerned about how it was going to come across and if people would respond well to it or not. Were there any bands or artists that have particularly influenced you, and do you think your music taste has changed much since your childhood? Luke: We've changed as songwriters, in a way and musicians... everyone is finding their own individual character. Nathan: It's been a strange development really because we've all come from really different backgrounds in terms of what we all listen to. I was into the noise rock scene around Leeds when I was 16. Obviously, we don't play music like that... but it's all influenced me as a player and in everything that I do. Mitch: Everyone has different backgrounds and influences, but because we're not all into one thing it brings about lots of cool, different ideas which we can merge into one. It all works really well. We're kind of heavily into soundtracks as well. They mean a lot to us, and we try and replicate that in our music as well. Jack: It ebbs and flows as you get older doesn't it, and you go through different phases. You'll buzz off a band, and then move on to the next one! It's like a synergy of different sounds and genres really. It's got to the point where we don't really think about influences now. Our way of playing and writing songs is built into us now, it's subconscious. You've just reached the end of a very successful debut tour... how do you think its gone? Did much preperation go into perfecting your sound and readying yourselves for that? Luke: Because they were the first shows, it was mainly about us just finding our feet and seeing what worked and what didn't. We'd been rehearsing the set for quite a long time before we played live... but when you're in the rehearsal room, it can sound great, but then when you play it live it can be absolutely appalling. Luckily that didn't happen! In terms of the shows themselves, I've never known a band have so much bad luck! Jack: 9 hours in a van! Mitch: We went to Glasgow and it took a good 9 hours from Leeds because we got stuck in a load of traffic. We ended up getting there about 10 or 15 minutes before we were due on. Nathan: The band that were meant to go on after us went on before us so that we could actually play, because we were that late! It kind of shows the commitment everyone has to it, really. We turned up, plugged in, played... then had to get back in the van again! What's the story behind the band name? It's a bit of a quirky one! Luke: It was taking us ages to think of a band name, and I decided I was just going to not think about it and then if something came across that I liked the look of... I'd put it forward. It was an old theatre in the strand in the 19th century called The Opera Comique... I just thought we'd change it to The Opera Comic. No one had ever used anything like that before, which I was surprised by as I thought it'd be a widely used thing. Is there anywhere that you'd really love the opportunity to gig? That could be a particular venue, or maybe just a certain city that you've always wanted to visit. Luke: If we do Glasgow again, I want to do King Tuts. I've heard lots of good things about it. I'd love to do KOKO again. Nathan: I've always wanted to go to Europe to do gigs. Is the songwriting process a collaborative effort or is there a primary songwriter? Luke: I like to work on them acoustically at home... I don't like the pressure of doing it in the rehearsal room in front of everyone. In terms of ideas, I'll just get melodies and lyrics ready and then take them to rehearsals. I don't like to be too much of a control freak over it because I know there are people in the band who can bring a lot more to it than I can... I've got my limits, really. Nathan: But everyone does. It's good when there are 5 of us in the live room. Jack: You feed off eachother really. We always have that initial stimulus to work from, and it just develops organically from there. What other hobbies and interests do you all have outside of music? Luke: Nathan is a keen golfer. Nathan: No I'm not. I've never played golf in my life. Mitch: Nath plays gaelic football, that's quite unique. Nathan: It's like an Irish hybrid of football and rugby. It's bizarre! Jack: I love scanners.... flatbed scanners that you use for scanning paper. It's gotta be flatbed ones though, because if it's one of those that you feed it in, it's just not good enough. But yeah, I just like scanners. I like other things as well, but I'm choosing scanners. Luke and Mitch, did you even share your hobbies?! Luke: I do allsorts really, just whatever I fancy... going for walks... It's just nice to zone out at times. I like to draw and forget everything... and get away from this lot! I might draw them one day. I think Nath said he'd like to pose for a live drawing for me. Finally... what does 2017 have in store for The Opera Comic? Mitch: Releases and plenty of tour dates. Luke: We've got a tune that we've just recorded down at The Motor Museum in Liverpool. We did 'We Are The Freaks' down in Liverpool. We used to record in Leeds, but it was so nice to get away. We've got Live At Leeds, plus a few other metropolitan festivals like that. There's a new venue in Leeds that's opened called The Church and there's this little venue down there that we might go and check out called The Chapel that's next to it... we want to do some kind of gig that's a bit different, we want to play somewhere with a bit of character that'll be a bit more of an experience. Since they spiralled onto the music scene just two months ago, The Opera Comic have proved tenfold that they are one of the most exciting and creative new bands on the block; rather than merely make a simple announcement, they released a mysterious spiral image online which subsequently circulated in and around Leeds by way of posters and flyers... thus intriguing us all, and doing so whilst remaining completely anonymous the whole time. When on the first of October the band finally launched, their debut single was every inch as interesting, quirky and extravagant as I'd hoped it would be, and so I was extremely excited when they announced a debut Leeds headline show at Brudenell Social Club. The night was put on by the brilliant Scruff Of The Neck, and with a bill boasting three equally brilliant up and coming bands, it was always going to be a fantastic show. First up was The Doldrums; now anyone who knows me will be aware of the fact that these boys hold a very special place in my heart, but the excitement of seeing them this time was somewhat bittersweet. Ollie Trevers has been with the band on joint frontman duties since day 1, but this was to be his final show. When I saw them live for the first time a couple of years ago, it was his incredible vocals that really stood out to me and drew me to them, and admittedly there was a couple of occasions throughout the set where I teared up a little. However, the performance was as effervescent and spirited as I've come to expect from these boys, and there is absolutely no doubt in my mind that they'll return bigger and better than ever before in 2017. Best of luck in the future, Ollie. I've been hearing about Manchester based quartet Larkins a lot of late, but this was my very first time seeing them live. They have an incredibly ebullient sound; it's fun, infectious and generally smile inducing- which I loved, and they have an impressive air of charismatic on stage confidence. Their incredibly lustrous performance was delightfully irrepressible, and left me wanting more. I look forward to seeing these guys again in the future, and with such a commercially appealing sound and image I think 2017 will definitely be a great year for them. From the second The Opera Comic sauntered on stage, I knew their performance was going to be a memorable one. Though I don't like opinions based too heavily on looks when it comes to bands, it must be pointed out that these guys are seriously suave; they look like the kind of band that you can picture playing to sold out crowds at festivals, or appearing on the cover of music orientated publishments far and wide... but they don't just look the part; from start to finish, their set was packed full of youthfully ludic and irresistably melodic tunes that become implanted in your brain and all but feed your soul. Frontman Luke Thompson's vocals are scintillatingly smooth, and with well executed and endearingly spirited instrumentation backing him up from every single member of the band... well, it may be somewhat cheesy of me to say, but the performance was undeniably note perfect. I very much felt that this was one of those gigs that will someday be a real "I was there," kind of moment. There was such noticeable chemistry between them, who are so obviously well matched with one another and clearly have built the foundations of their band upon incredibly strong friendships. The Opera Comic had a somewhat unconventional start to their journey as a band, but that's what has made them stand out from the crowd; they've proved to us all that they have no intention of doing things by the book, and I'm sure they'll continue to surprise and enthrall us every step of the way. Glass Caves are the Pontefract based rock quartet (comprised of frontman Matthew Hallas, bassist Will Groves, drummer Elliott Fletcher and guitarist Connor Thorpe) who, over the course of the last couple of years and with the release of their 2014 hit debut album 'Alive', have rightfully sealed their place as one of Yorkshires' most loved and respected up and coming acts. With the release of new single 'Do You Have A Name', the band are rounding off another incredibly busy and successful year of relentless touring, as well as giving us a teaser of what we might expect from their long awaited second album. 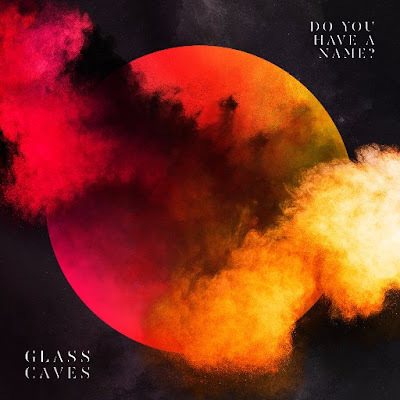 Though they have an already impressive musical back catalogue, I feel that this is Glass Caves at their rip-roaring best. Lyrically, it's definitely one of their more emotive tracks but it manages to be romantic without becoming your average, generic love song. Matt's ever expressive vocals are resolute and canorous throughout and instrumentally, it's lilting and extraordinarily atmospheric... it's almost somewhat intoxicating, and I find that I appreciate it all the more with every listen. 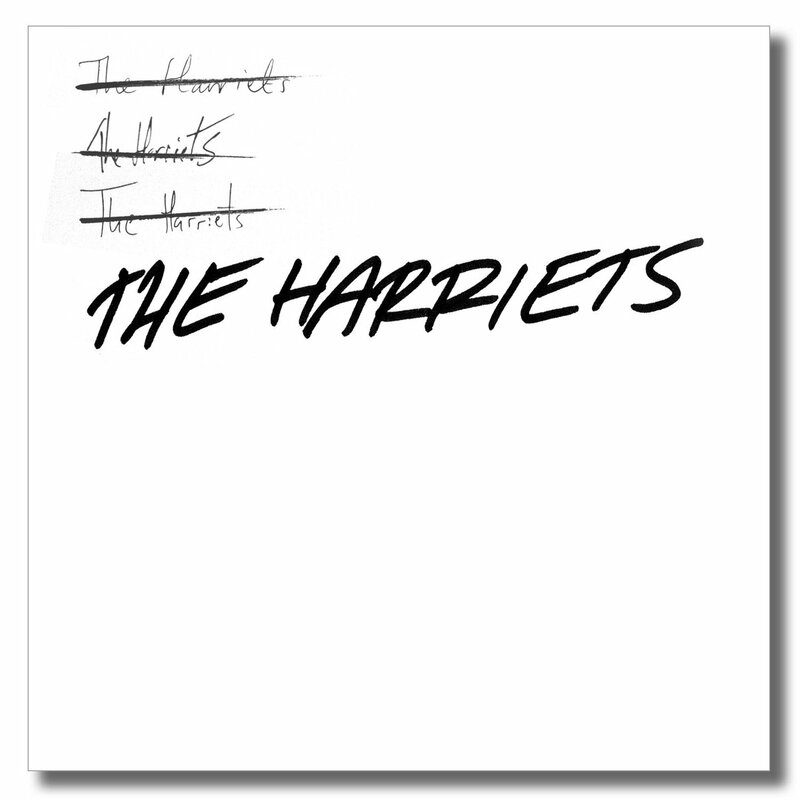 The Harriets are the Leeds based psychadelic-rock trio, made up of Daniel Parker, Ben Schrodel and Matthew Smith. They've been together less than a year, but are already making waves on the local music scene and have just unleashed their four-track, self titled debut EP. Admittedly, I was unfamiliar with their music upon being asked to cover their EP release show but I was quickly taken in by their infectious musical style and on stage dynamics. From the moment they took to the stage and launched into the aptly titled 'Harriet Who?' there was an authentic and exceedingly charming chemistry between them, with each member of the band grinning from ear to ear throughout the entirety of their set. When the band are so obviously that happy to be on stage and performing, I think it definitely rubs off on the audience; it was great to see so many people singing and dancing along... despite the fact it was a cold and bleak midweek evening! Having two equally strong lead vocalists definitely works for this band, and they both bring something a little different to the table; Daniel's vocals are quite gritty and tinted with eccentricity, whilst Ben's are somewhat smoother. The performance was incredibly varied, which I loved; it featured fast-paced, fun and vivace tracks such as 'Harry'... and then on the other end of the spectrum was the beautiful 'Train Window Girl'. Admittedly I'd spent a great deal of the set thinking that, whilst The Harriets are very much doing their own thing, they had an air of The Beatles about them- and so it was somewhat unsurprising when they decided to throw a cover of 'All My Loving' into the mix. They definitely put their own spin on it, and both in terms of sound and image, I can tell that they take a great deal of inspiration from them. There are so many bands out there trying to achieve what they seemingly manage to do so effortlessly... that classic and timeless sound which, whilst somewhat reminiscent of times gone by and leaves you feeling as if you have truly been transported to the swinging 60's, still remains completely relevant and contemporary. There is certainly some room for them to grow; I think they're good enough to pull off a headline show without any covers incorporated into their set... more than anything, this would ensure that the focus remains solely on them and not the acts whose songs they are covering. The band should be proud of the fact that, as their set came to an end, the audience demanded a repeat of EP opener 'Harry' as encore- which they'd already played earlier that night. For a band who are just starting out to be so remarkably confident and at ease with themselves, their sound and their image shows just how much potential there is here, and it's difficult not to be excited about the future of The Harriets. Watch this space. Kassassin Street truly are a band like no other; their nonpareil psyche-rock sound is somewhat hypnotic, and whether you enjoy their music through way of studio recordings or whether you witness their invigorating live performances, they always bring about a sense of complete and inexplicably beautiful equilibrium. The band, who hail from Portsmouth, have already very much made their mark on the music world; their debut EP the 'Radio Silence EP' (released in 2015) is an intelligent and enigmatic collection of songs in their usual instantly recognisable style, and 2016 has seen the release of two singles, 'Hand In My Pocket' and more recently 'Do Or Die'. They've also played a stream of live dates and festival appearances up and down the country, and with a new EP expected shortly, I think its safe to say that we can expect big things from Kassassin Street in 2017. 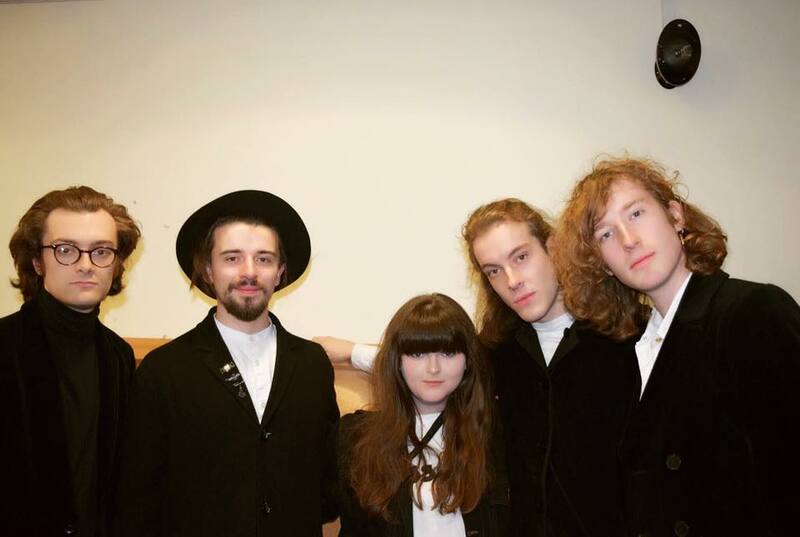 I was able to chat with frontman Rowan Bastable prior to their set at Kazoopa Festival. Despite having just endured a 6 hour car journey to Leeds for their performance, he was one of the friendliest people I've ever met and a real joy to chat with. How did you all meet and begin playing together? I've known Nathan and Ryan since school, so we've always played together in bands... skipping PE to go and do music, that sort of thing! Then at college we met Tom and Andy, the other two guys in the band. We all went off to uni, and then when we came back we kind of starting doing it all properly. We started just playing in a bedroom for hours and hours on end just making really weird noises and jamming really. It was six months or so after that we got some songs out of it and started doing gigs. That was about three years ago now, so we've been doing it a little while! Time flies! What did you grow up listening to and do you feel any of that has influenced you in your own musical endeavours? I grew up listening to lots of Britpop, lots of Nirvana... which I am heavily influenced by, more lyrically and topically. I grew up listening to a lot of 70's experimental... but then I also listen to a lot of Oasis, so it's always been that mix between traditionally crafted songs and then complete nutty experimental! I think somewhere, I've always tried to piece those two things together! Do you have any fond memories of playing in Yorkshire? We really do! We always have a really, really good time every single time we play up here. When we did Live At Leeds at Oporto... that was amazing. It was 3 or 4 in the afternoon, there was beer in the air and everyone was going mad! I've had an amazing time at Y Not Festival, and we had a great time playing Tramlines in Sheffield. We really notice that we always have good gigs in the North, so it's always worth the drive. There's a real element of just having fun and people not worrying about how cool they look... I think the further South you go, the more self concious people get. You can go to the coolest gig in London but everyone kind of just stands there and claps. It's completely different here. If you could collaborate with any band or artist, past or present, who would it be and why? That is tough! I'm gonna say Damon Albarn... due to the fact that I think whatever he seems to touch turns to gold. He's one of the most contemporary musicians, and one of the only people who manages that with whatever he branches out in, and with the people he's got performing on his albums... only someone like Damon could make that happen. So yeah, I'd like to see what I could do with him. Kassassin Street, Damon, and Snoop Dogg... it could be the future! Is there anything that you've done so far - whether that's a particular piece of music, a certain show that you've played or something else entirely- that you're particularly proud of? We went out and played in Spain this year so that, for us, was really amazing. SOS Festival in Murcia... it was huge, and it was really good. We had a few thousand people who came out to watch us which we weren't expecting at all. On the bill, it went us, then a spanish band, and then The Libertines... it felt really, really strange! And we got loads of free food! So yeah, I'd say that... it felt like quite a feat for us to take our little band from where we're from and be flown all the way out to Spain to go and play songs to people. Have you got any musical guilty pleasures? I have a lot of musical guilty pleasures, actually! I'm a big fan of The Cardigans... 'My Favourite Game' is probably my number one guilty pleasure. To me, it just sounds like a modern crowd rock song, it's just relentless... and it's just got such a great hook. You've played a number of festivals this year... did you manage to see any other acts between your own performances that you'd recommend? This year's been a really tough one... we've played so many in the North, and we tend to go up and come back in the same day so unfortunately we never really get to see anybody at all. We normally end up being backstage, then we play our set, get straight back in the van and hit the road. I've seen a lot of service stations! I can probably recommend a few good service stations... Toddington is quite good! But unfortunately I just haven't been able to see any bands, which is sad really because it's kind of why I got into it. When you tour, how do you spend your time between shows? Do you ever get to be tourists? I try and do a lot of music when I can, I've always got my laptop on me. Being in the van on tour is great for spurting out ideas. I do like to act like a tourist though, I'm quite a culture vulture! I like buildings and architecture... that's a guilty pleasure as well, architecture! So I like doing all of that... and then kind of trying to catch up on sleep! Those three things take up all of my time... and then petrol stations, and service stations! What's been the biggest learning curve for you as a musician since you started out? The biggest learning curve really is that I thought I knew it all and then realised that I really didn't... and so you really push yourself to be better and better... to try and play as much as we can and get tighter, but there's always work to do. The best thing that you've ever done, you're yet to do... that's how I always try and think about it. Finally... you have a new EP due out next year, don't you? 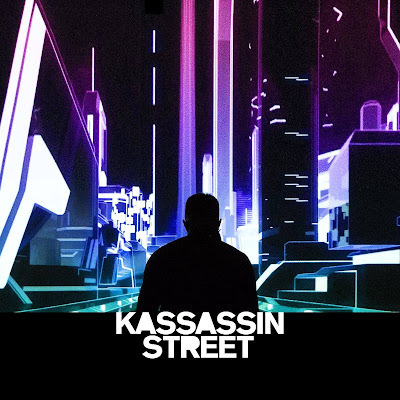 Do you think that it's different to anything we've heard from Kassassin Street before? Yes, it's called the 'Freak EP'... we're going to release it song by song, so there's going to be another song in January, one in February and then the final one in March. It's a little bit different from what we've released before, but not a million miles away. I'd say it's just a more polished version of what we've done before. I think we have better songs, a better sound and just a more polished production as well. I'm really looking forward to it. You can listen to the bands' latest single 'Do Or Die' below. It's available to purchase and stream now on all good musical platforms. Festivals are generally associated with the Summer months, but Leeds' brand new inner city music festival Kazoopa came to us for the first time on a blustery November day, to break the mold and act as one last hurrah before we wave goodbye to 2016. With Double Denim Lives' Mick Dolman and Chantel Littlewood at the helm, a line up boasting over 50 of the best up and coming bands from across the country, and a handful of Leeds' best and most intimate music venues involved... it was always going to be a roaring success. Not only did it end up being one of the best days I've ever had, it was also an opportunity to catch up and spend time with some of the best people I know; festivals always create a real sense of togetherness as people celebrate a mutual love of all things music, but I can safely say that I've met so many lifelong friends through attending gigs in and around the Leeds area and it was great to see so many of them out in force at Kazoopa. Local lads LUNABLIND opened the Oporto stage, and were my first band of the day. Having seen them live a number of times this year, they impress me more and more each time. 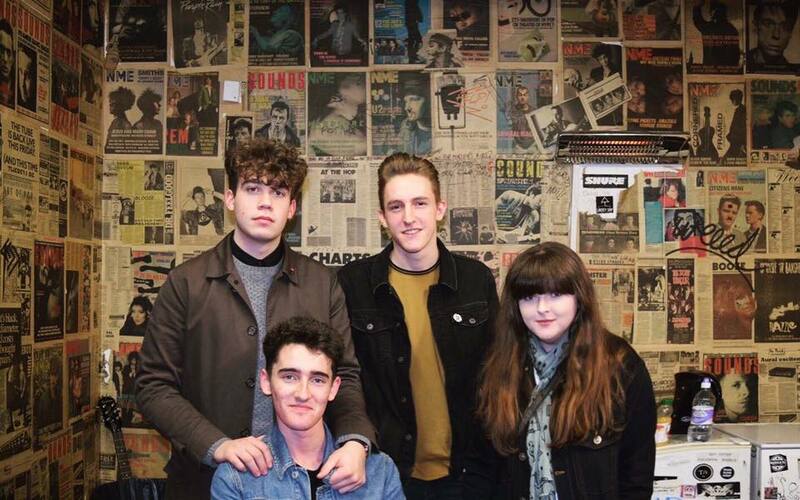 You can always rely on these guys to give a spirited and euphonious performace, packed full of melodic and charming indie-pop tracks that are surefire future hits. Opening the main stage over at Headrow House were York based quartet Faux Pas, who for such a young band, perform with a real confidence and complete fluency. Frontman Ru Cowl's vocals are clangorously gritty and instrumentally, everything is nigh pitch perfect. I'm quite sure that in the years to come as they grow and develop with time and experience, they'll become a serious force to be reckoned with. Though I unfortunately didn't see their full set I couldn't not mention Mint, who over the course of the Summer have made me fall completely and utterly in love with their mellifluous and exceedingly charming blend of delightful pop-rock. The festival environment suits them perfectly, and Verve Bar was at capacity before they even begun to play. This is an act who are 100% destined for the big time, and it's always a real pleasure to watch them play. For me, one of the most prolific musical discoveries of the year has undoubtedly been Paves who once again performed with such authentic and stunning vehemence, the likes of which I don't think I've ever seen before. Their suspenseful bluesy rock sound is effortlessly smooth, and I always find myself completely lost in their music. Perhaps the only negative here is that they weren't playing to a much bigger audience, for this is a band who so deserve to be heard; saying that, this performance was every inch as vibrant and atmospheric, and with just as much stage presence and vigour as if they were playing to a sold out Wembley Stadium. I've been a fan of Tusk and their extraordinary psyche-rock sound since day one; with a fiery and tenacious execution of instrumentation, backed up by vivace and silky smooth vocals, they're an extremely impressive live band. The highlight for me is always their eclectic and infectious debut release 'I'm So Vanilla', but I think this is but the tip of the iceberg as far as they're concerned. 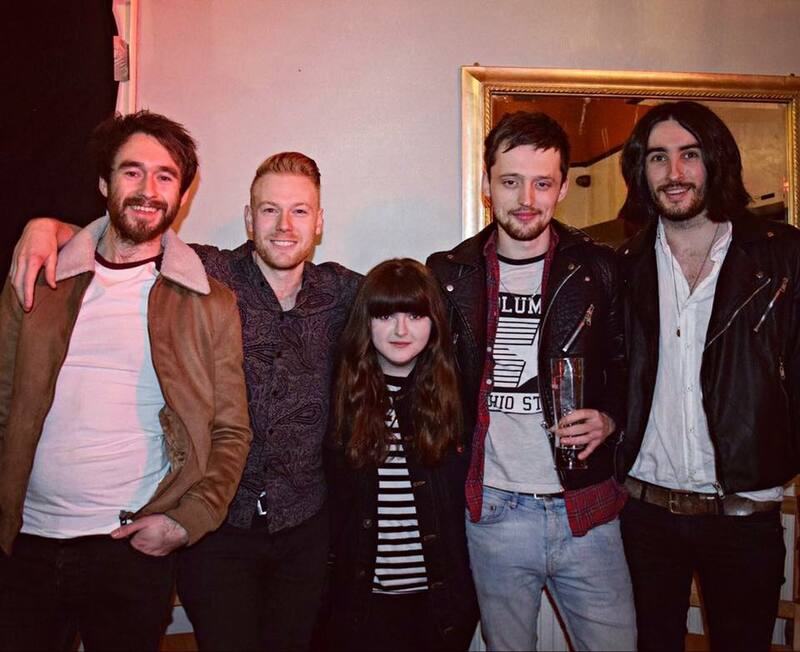 Tusk are an exciting and underrated young band with a great deal of talent and potential. Definitely one to be watched. It's difficult to know where to begin when talking about Cabezudos; back in October, I unexpectedly saw them live for the first time and since then they've become somewhat embedded in my heart and soul. To go from raving about them almost constantly to Mick and Chantel, to seeing them perform to a packed-to-the-rafters Verve Bar at Kazoopa was an incredibly proud moment. As always, they gave their all, and their usual creative flair and obvious passion and zest for music shone through. Their opening track, which is as of yet unnamed and known simply as 'N.O.S.E' is, for me, the strongest in their set; it's edgy, anthemic and feisty... undoubtedly the best possible introduction for the audience, many of whom were experiencing their music for the very first time. Though the Verve stage is small, they most definitely made good use of it, spending the majority of their set thrashing about as if their lives depended on it. Particular mention must go to frontman Jack Hughes, who performs with such theatricality and velocity that it's impossible not to be transfixed. Cabezudos are an authentic and truly debonair act, full of zeal and drive and with an apt ability to create music which is so unexampled and expressive that they cannot possibly be tied to any one genre... and it is that unique and endearing individuality that makes them so very special. 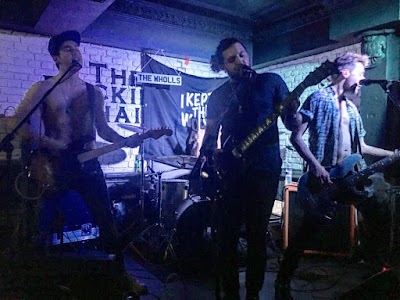 The Barmines, as always, brought the noise at Kazoopa; it was a triumphant return to Headrow House for the band, after having enjoyed two successful headline shows there earlier in the year. Their live performances are always delightfully raucous and their substancial and loyal fanbase, who were once again out in force, always add to the already electric atmosphere. Tracks such as 'These Days & Nights', 'Skys The Limit' and most recent release 'Reliance' have been catapulted to all but legendary status, with almost every member of the crowd singing every single word the entire time... THAT'S how brilliant and influential this band are. I've seen them live more than any other band this year, and they still manage to blow me away each time. When writing a festival preview, I chose Kassassin Street as my top pick for Kazoopa 2016... and suffice to say, they did not disappoint. They're almost hypnotic to watch and put on a resolute and electrifying show, to say the least. Frontman Rowan Bastable is mesmerizing to watch, and his dulcet vocals are nothing short of stunning. 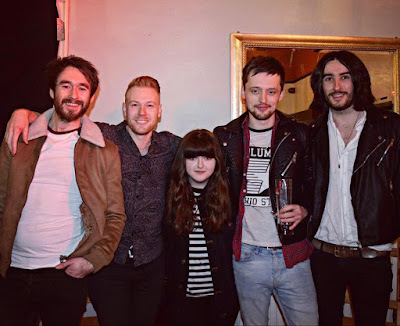 Their set is quite varied, and whilst 'Talk In Riddles' and new single 'Do Or Die' are fast paced and a real full-bodied impetus... at the other end of the spectrum is the somewhat haunting 'Love With No Borders', which was the standout moment for me. I'd been looking forward to seeing headliners Young Kato for the first time, as I've had their album on repeat for quite some time now. I was introduced to them by way of one of their most well known tracks, 'Drink, Dance, Play' and so it was a joy to finally see that performed live. There's something extraordinarily atmospheric and absorbing about their composure on stage, and both musically and in term of lyrics there are impressive levels of intensity and profundity. I think Kazoopa left us all wanting more; it was the perfect culmination to an astoundingly brilliant year of music, and a day I'm sure none of us will be forgetting anytime soon. All I can say is roll on Kazoopa 2017, so we can do it all again! The heroes of Kazoopa... three cheers for Mick & Chantel! There's something inexplicably enchanting about Paves; I think that perhaps they have to be seen to be believed, but from their spellblinding and unexampled bluesy-rock sound to their mesmerizing live performances... one thing's for certain, once you do see them, they're impossible to forget. The band is made up of frontman/guitarist Luke Shield, lead guitarist Mike Whitaker, drummer Tom Triggs and bassist Perry Read. They've been playing together for a while now, under a couple of different names (they were formerly known as Thieves, and then as Smokey Taboo) before they began their journey as Paves back in 2015. They've been extremely busy since then, with tour dates up and down the country as well as appearances at a number of high profile festivals over the course of the Summer (Reading & Leeds, Y Not and Isle Of Wight to name but a few), and they're just about to embark on a string of live dates supporting Starsailor. This year also saw the release of a brand new track, in the form of the sizzling 'Take Me While I'm Here' and with plans for an EP release in early 2017, things look set to get even bigger for this London based quartet. 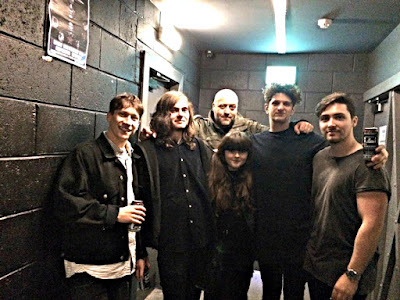 I was able to catch up with the band when they came to Sheffield recently to play at Plug for AMP Live... a real honour, as they are undoubtedly one of the most exciting and promising new acts in the country at the moment. I know you've been playing together for a while now, under a couple of different names before you settled on Paves... but where did it all begin, and how did you first meet? Luke: I first met Mike at university, we went to Queen Mary in the East of London. He did physics, I did English Literature, but we had common friends. We'd played a few times before and it didn't really work because we were both into different kinds of music. Then everyone went away for the Summer... my parents live in France and he just wants to live in London, so it ended up being just us two and we just started playing together. I think as you share something you gradually get closer to what you're trying to get at. Mike: We found a middle ground... I was always trying to make it heavy, Luke was always trying to make it soft! Luke: Nobody was giving something up, it wasn't like 'I'll give up this, if we can have this,' it was more like trying to make something together that works with both attributes that we've got. It was a very positive thing. I met Tom in the Camden Head having a drink... as you do! He was playing in a more acoustic band... I gave him my number and told him if he wanted something a bit more punky to give me a ring. About 3 weeks later I got a little text, and we had a little jam. We went a bit quiet for a bit, then got Perry involved. Slightly long winded, but very lucky actually! Perry: I was asked to join by Mikes' old guitar teacher. I'd just dropped out of uni, and so had a very free schedule. Then this band came up and I thought 'yeah, I'll do that,' and here I am today! What did you grow up listening to, and do you feel it's influenced you in your own musical endeavours? Perry: We all listen to a lot of different stuff, and I think that comes through in our music. Mike: If we all listened to Oasis, we'd sound like Oasis... but we have lots of different influences. I grew up listening to a lot of guitar based things and beyond, but the moment I heard Guns N' Roses... I wanted to play guitar like that. Luke: We all have very different backgrounds too in terms of where we were brought up and what our parents listened to which has a massive effect on a young person. But we've always shared music a lot... we've got a group chat, so if someone finds something cool we'll tend to share it even if we think it won't be the others' cup of tea, it's interesting music and it's educational to our purposes. The thing that really made me want to make music was Graceland by Paul Simon. I know people have qualms with it, but I think it's genius. Tom: I think for me it was the Chili Peppers... well Chad Smiths' drumming. Perry: I think I'd agree with Chili's as well. In terms of starting out and realising you wanted to persue a career in music, were you self taught with the instruments that you all play? Perry: I'm self taught. I had like two bass lessons and just didn't get it... it just didn't work. Mike: I taught myself most of it, and then had a few lessons with the guy who knew Perry... but that usually ended up with us just chatting and jamming, I didn't really learn in a scholarly way. Luke: I got my guitar when I was like 17, but I'd played French horn before... I did really well actually! I passed Grade 8, I was in orchestras and stuff. That gave me a bit of an insight into how music worked and made me understand it. You've got an incredibly recognisable sound and image... did you know starting out exactly what kind of band you wanted to become, or do you think that's something that's changed with time and experience? Tom: It's definitely changed... I think developed is the right word for it! Luke: We grew as a band as we got to know eachother. We just played music that we enjoyed. Probably about 5 months ago there was a slight click where we understood that we wanted to do something a bit more modern, and we understood how we'd gotten from what we started off doing. Mike: I think we started out trying to imitate our influences and we slowly started to do our own thing. Luke: We've got a sound now that's more particular to us, as opposed to just reciprocating stuff that we've heard already. Are there any new bands/artists that you've come across or played with this year that you've been impressed by? Mike: Bang Bang Romeo are always good. Jackals Rose used to be but they are no more. Fronteers, Blinders... any band that plays with This Feeling, really. Broken Witt Rebels, The Wholls... there's so many. Perry: Hello Operator, The Shimmer Band, Hidden Charms... Miracle Glass Company who we saw in Glasgow, they were amazing. You've had an incredibly busy festival season... has there been one in particular that's been your favourite? If so, why? Tom: Isle Of Wight festival, I think. Luke: That was our first actual big festival together so we decided to not take anyone and just the four of us go... it was quite a special experience. The organisation and everything was so smooth, and it was nice weather! Perry: I quite like fishing. Mike: I like motorsports, car racing and stuff like that. Luke: I like going for long walks... and little walks! But I write songs while I'm walking! Is there anything that you've done so far- whether that's a particular piece of music, a certain show you've played or perhaps something else entirely- that you're especially proud of? Luke: I'm dead proud of the new songs that I've written and that we're playing at the moment. I'm really happy because I think they're getting to a higher level. I think people tend to think someones either a good songwriter or they're not, but I can really tell that over the last two or three years that the songs are getting better and I can tell that we're interpreting them better as a band. So I'm dead proud of that and of the performances that we're giving, because we're working hard and we're playing better. We're practising a lot and you can tell... and that really makes you proud. Mike: I'm quite happy that we've got as far as we have without any kind of external help, like management, agents and stuff like that. Most of the bands we play with have a decent manager or agent but we somehow do it all ourselves and wing it! Luke: I don't think we wing it... we work hard. We've turned stuff down, because it wasn't our thing. We can do what we're doing by ourselves... it takes a lot of work but at least we've got full control of the situation It does take a lot... organising gigs and making it cost effective. It's hard, but if you want to do your own thing and make it exactly how you want it, then you have to do that. What would you say has been the biggest learning curve for you as a band since starting out? Luke: I think the main learning curve is just being nice to people and enjoying it. Sometimes you think you haven't played a good set and you're a bit grumpy... so it's about learning that you've still played a set, you probably didn't do that badly, and just to have a good night! Next month we're supporting Starsailor and that's going to be a big learning curve because they'll be the biggest gigs we've ever played. Mike: Luke would be the primary songwriter. Luke: I'll write the songs and then I'll take them to the band and share them and they'll come in with ideas. When it's written acoustically, it's not really the song because it's a band thing... they bring in their expertise and prowess! We'll jam it out... sometimes I'll have an idea for a hook, sometimes Mike will have an idea for what I should do guitar wise, because he's a better guitarist than me... sometimes! No, no... he's better than me. So that's how it works! Finally, I know you have an EP coming in 2017... what can you tell us about that at the moment? Luke: We've just got some mixes back. Mike: It sounds really good, it's a lot more fresh than what we have at the moment. Perry: I'm excited for people to hear it. We've got this EP's worth of songs to come out, and there's already another lot ready to come. Luke: There's already another 2 EP's written, basically. There's particular themes that bind the songs together. I won't say what they are! Each song is easy enough to interpret on it's own but there is a theme that brings them all together, which is a good thing because it makes it more of a full project as opposed to just whacking four songs out and putting them on an EP. Mike: It's coming in February. It's actually coming out through This Feeling. We ended on a fruity photograph! 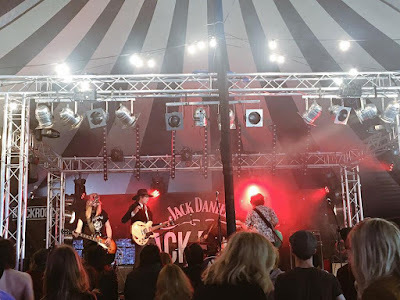 Kassassin Street are the psyche-rock quintet (made up of Rowan Bastable, Nathan Hill, Ryan Hill, Andy Hurst and Tom Wells) who are currently making waves far outside of the coastal city of Portsmouth from which they hail. Their extraordinarily mesmerising and unique sound becomes implanted in your brain the second you hear it, and they've become known for their explosive live performances. New single "Do Or Die" is the perfect culmination to a triumphant year of touring and festival appearances for the band; it's fast paced, hard-hitting and enigmatic to boot. The track is somewhat heavier than anything they've come out with to date, but it works. All in all, it's an intoxicating and extremely creative blend of electro-pop and rock, and an exciting teaser of what's to come when the band release their new EP next year. You can purchase 'Do Or Die' via iTunes here. The band have a string of UK tour dates coming up before the end of 2016, starting with a sold out hometown show at the Wedgewood Rooms in Portsmouth tomorrow evening. They're playing the Headrow House stage at Kazoopa Festival in Leeds on Saturday 26th November, followed up by dates in Brighton, Liverpool, Southampton, Derby and Manchester. Catch them while you can, because they won't be frequenting such intimate venues for long. After being off the radar for quite some time, Sheffield based quartet Polkadodge (frontman John Burton, drummer Paul Robertson, guitarist Martin Greening and bassist Jack Galvin) are back, and they're better than ever before; not only do they have a brand new bassist in the form of Jack, but they've returned too with a boatload of fresh indie-pop anthems, proving that some time away from the scene has benefited them in a big way. Whilst their new music is recognisably the Polkadodge that everyone knows and fell in love with, it's definitely taken on a much more serious and mature twist with more recent releases such as the stellar and stylish 'All In My Head', and the extraordinary 'Heat Of The Night'. You've been playing together for quite some time now in one shape or form- but how did you all meet, and how did it all begin? John: We met at school when we were about 16. Martin was in the year above me and he didn't really like me. We both played guitar and I think at the time, I was a little bit better than him. Martin: Hang on, this is why we didn't get on! I thought I was the best in school, I really wasn't. He came along and he was playing all the songs I really wanted to learn. John: Ben, his friend, bought me in and said 'have a jam with this guy.' I got muscled in, then we became friends, and then loads of people joined and left... they're gone now, they're doing teaching and all sorts! Then we met Paul when we went to uni. We'd tried a few drummers, but he just clicked. When our old bassist left, we found Jack who we'd known for a while but had seemed quite busy with his job. He's managed to slot in. Martin: It was hard to find a bass player, but he's come along and has lifted our spirits a bit... and he had long hair! Jack- how did you find yourself an honourary member of Polkadodge? Did you know the guys before? Jack: I sort of knew Paul, he sometimes comes into where I work and he said they were looking for a bass player. I sort of knew John... wasn't that keen on him, but I did join the band and now we're friends. Didn't really know Martin. What did you all grow up listening to and do you feel it's influenced you musically? Jack: I grew up listening to Oasis, The Beatles and The Rolling Stones. Stuff like that. John absolutely hates the fact that people listen to these bands! But that's what I grew up listening to, and I still like it. John: I liked lots of pop/punk like Green Day. Then I went on to listening to The Killers, synth pop arena rock- I've not changed that much... the U2's, and The Killers! Paul: I was a bit of a weird one. I loved Bruce Springsteen, he was like my idol. Then I started listening to stuff like The Strokes. Martin: I was basically a typical indie kid growing up. Bit like Jack, I liked a lot of Oasis, a lot of Blur and all that. I like The Beatles as well... got a problem with that, John? 'All In My Head' was your big comeback single- what's the story behind that one, both in terms of influence and the creative process of bringing it together? John: When we had the old bassist, we took the chorus from another track. Paul was in the flat one night and he was sort of singing it, and we thought actually, that songs' just one key higher. Paul: We had the verse for ages, we just couldn't write a chorus... so we moulded two songs together. We'd spent ages trying to write the chorus, and then it ended up that we'd actually written it three months before! John: We took that chorus down to key, and it just slotted into that one. Martin: The guitars in it are interesting and something we haven't done before. When you get excited for guitar stuff like that, you know something good is bubbling up. John: It was all from a live recording that was just lost on our phones somewhere, and then Paul was just singing it and we realised it was good. But yeah, it's come out alright. It does take a while writing songs though, for us anyway. We chuck a lot away, so hopefully the ones we do put out are good! I think that in contrast with your older material, the new music is very different, perhaps somewhat more mature... was that change deliberate or something that just came naturally? John: My mum said that today! I don't know if it's just that we're older. Martin: The standard of what we keep is a lot higher now. We put a lot of pressure on ourselves to make sure if we are going to put out a song or play it live, we want to be sure that it's good. Before, I think if we scraped a song together we just thought it'd do and we didn't really work on it that much. We work a lot harder now I think on perfecting the songs. John: Often, we'll write one and then we'll play it... I think you only know if it's good when you've played it live. That's the best way to test them, and you just get a nice feeling when you know it's a good one. Paul: We want to do Liverpool. John: Yeah, Liverpool would be nice. It's really weird because some gigs that you build up as being amazing on paper just don't really turn out that way, for whatever reason. You can even have rammed gigs and it just doesn't really connect or feel that great. Weirdly, ones like this are usually really good, dead random ones. Jack: When we played Huddersfield, I think we all turned up feeling a little bit unsure and it turned out to be one of my best gigs. John: I think sometimes with the smaller towns there's less variety for people to go to, so when bands come around they sometimes think it's something a bit different and turn up. Jack: Preston as well, that was a great gig. Preston was with Cabbage, wasn't it? That must have been quite an interesting experience? John: It was very busy, but it felt a bit weird. Weird crowd, they were very standoffish. Martin: They were alright, we're just a new band that they hadn't heard of before. There were quite a lot of older people there. Jack: It took a little bit more to win them over, I think. There's obviously an incredibly vivid music scene around this area at the moment... Leeds, Sheffield, Doncaster... what other up and coming bands have you seen or played with recently and been particularly impressed by? Paul: I really like Sundara Karma at the moment, I know they're signed but they're still up and coming. Kashmere, the band that we played with in Preston were really good and they're really nice guys. Jack: There was a band from York that I saw about a month ago called Faux Pas, and they were really good. I like Adelphi too. Martin: We've played with everyone! When it comes to the bands in South Yorkshire, we've all played with eachother at some point. We've all seen eachother grow and break up and stuff. John: We all like Conor Houston, he's good. Good time guy! He's very funny, you get a bit of a comedian with him as well. U2, I think some people may have heard of them? Martin: There's a lot of people that like U2 but daren't admit it, similar to the Coldplay thing. There's a stigma attached to it, and you're basically going to get bullied for it. Is there anyone in the music industry that you'd really love the chance to work with? John: We've had our ups and downs, I think every band has probably had daft meetings with management and label companies and things. There are loads of people we'd like to work with, but it all feels quite distant at the minute. I'd love to sing with Brandon Flowers... me and B-Flower, that'd be great. To end the argument, I'd probably like to share a stage with Ronan just to see if it's that distinguishable! Paul: I didn't want to admit to this, but we were watching his top 10 on some music channel. He looked nothing like him when he was younger, it's just now that he's old! John: The number 1 was rubbish! We were ready for Nothing At All or Life Is A Rollercoaster. Tomorrow Never Comes was number 2 and that's not a great song. This has turned into PR for Ronan! Can any of you remember your first ever experience of live music? Paul: My first gig was really late, I was like 16 or something. I went to see Metallica with my sister. John: Mine was Steps. H came out on a big H over the audience and just sat on it. Martin: I remember my first gig was Red Hot Chilli Peppers. I really wanted to be John Frusciante, the guitar player. He's my absolute guitar inspiration. Jack: The first one I went to was Oasis. What do you all enjoy doing outside of music? Martin: We drink a lot! We just like hanging out and not doing much! John: We like dogs. Anywhere there's a dog, we'll crumble to the floor in a heap of excitement. Jack: I just stay at home and sit in my pants. To be honest if we don't end up doing music, we're destined for a life of bins and boring. Martin: Music takes up a lot of our time and when we're not banding we're working, so you don't really have much time to go horseriding. You gotta earn your money, because this doesn't pay much! We've only got jobs to keep our feet on the ground though! John: We want to do a proper release again, like 'All In My Head'. We put two songs out because we didn't plan it very well, so we're going to plan a proper release... probably a song which is called 'Running' at the minute. Everything starts to pick up around January. What if our band at the minute is spaghetti bolognese... we're gonna cook another one, so we're getting everything out of the chopping bag. The mince is the song, the onions are the gigs. So the onions come out, the garlic comes out and people will be like 'oh, I see what you're doing there,' but... we've got just a little carrot that we're going to grate in that we're not telling you about, and we are going to dangle that carrot next year. Jack: To sum up what he's saying, there's something happening. Also, I just want to bring this up... who puts carrot in bolognese? Martin: Jack, we're not on about your microwave meals here mate! 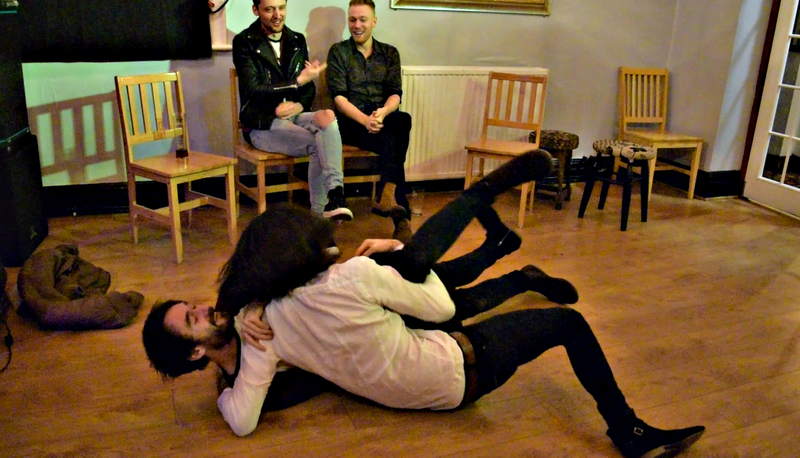 The interview ended with Martin and Jack wrestling on the floor in a heated argument about food. Yes, food. Battles were fought, trousers were split... but despite this being my longest interview to date, one major question remains unanswered; does carrot have a place in the traditional spaghetti bolognese dish? I'll leave that one with you, or feel free to contact the band themselves on Twitter at: @polkadodgeband.